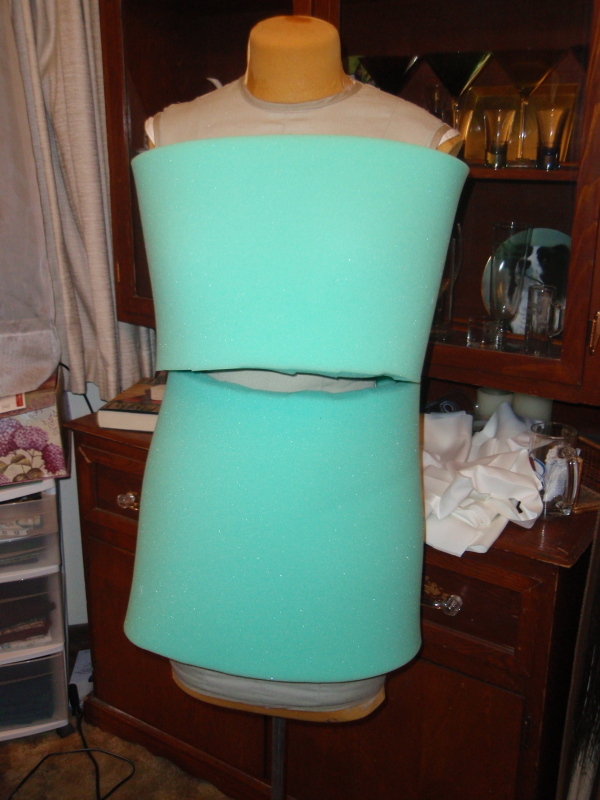 I was fortunate enough to find this foam dressform at a thrift store in San Francisco for $15. At first I was just going to use it for a couple of my bridesmaids’ dresses, but my future MIL suggested that I enlarge it and alter it to fit myself. I had been considering getting an adjustable dressform, but as the one I want is about $250 and has bad reviews (not too many choices for a plus size dressform), I opted to take on the challenge of altering this thrift store find. I bought this foam at JoAnn’s and cut strips of it, pinning it on my dressform and measuring the width as I went along to ensure the sizing. 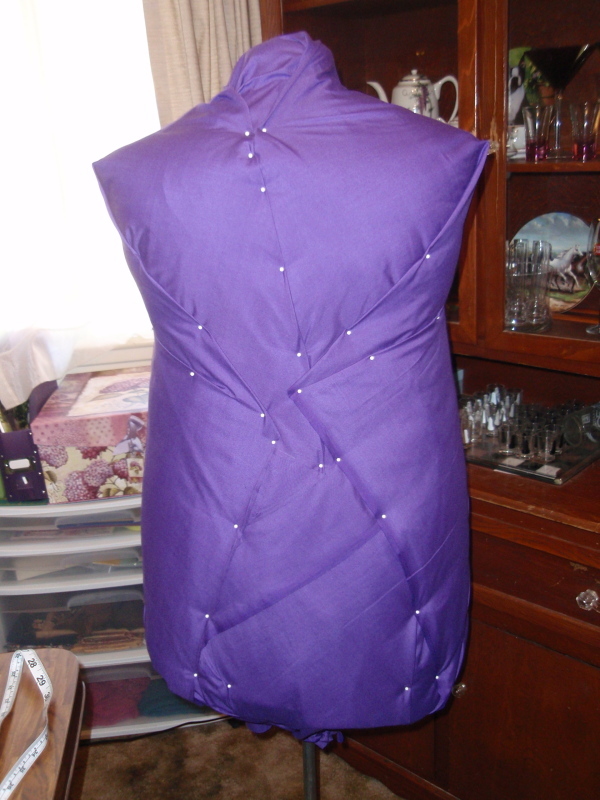 I have an hourglass shape, so I used some quilt batting that I had left over from a couple of quilts that I made and I filled in the waist area between the two pieces of foam. For some reason I didn’t take a photo of it, but after I pinned on the foam and the quilt batting and had smoothed out the form, I covered it with a large layer of quilt batting to cover the all of the foam. You can kind of see it here in this photo with the pre-covered form underneath the beginning stage of my wedding gown. 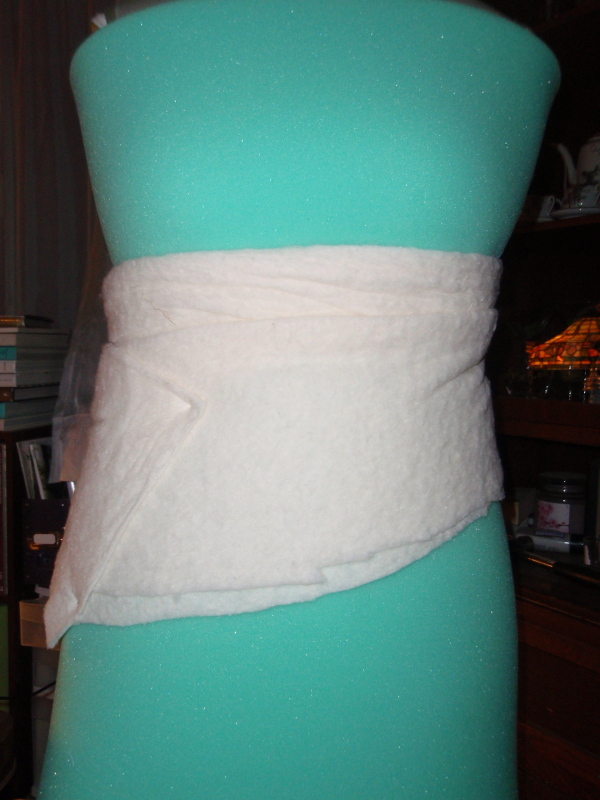 I had been planning on sewing a cover for my form, but I decided to pin on the fabric instead, making it so that I can alter my form if/when my body changes (yes, when I am slimmer!). 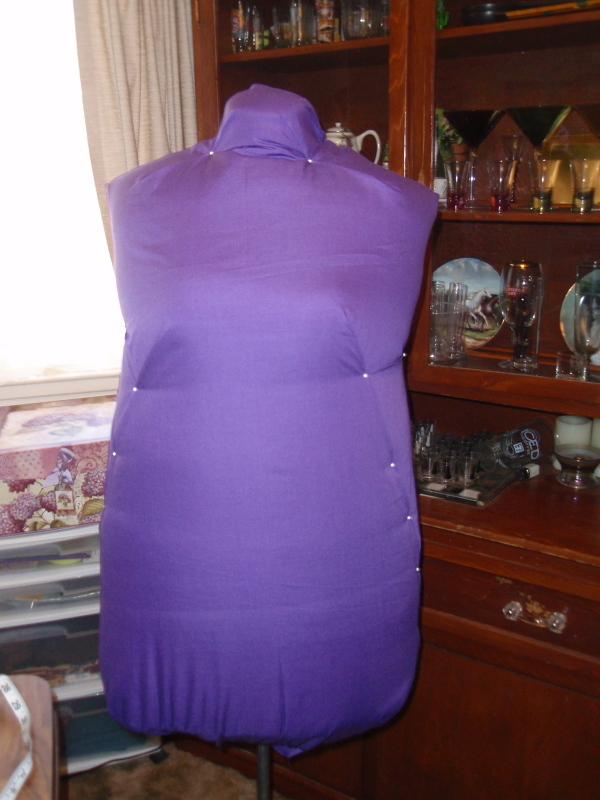 I used purple cotton broadcloth to make the cover and am eyeing some cool fabric that had dressforms on it at Beverly’s that I may use later if it goes down a little in price. 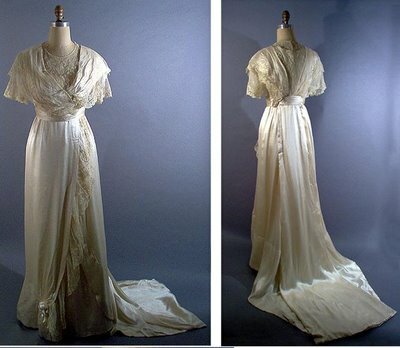 Wouldn’t that be cool to cover a dressform with fabric that had dressforms all over it? 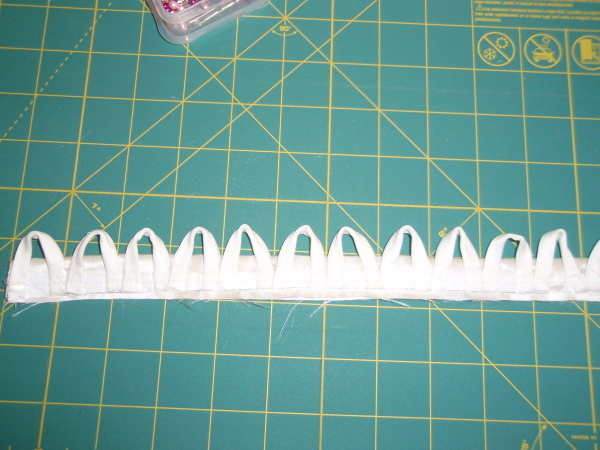 I used Dritz Size 24 – 1 1/2″ long ball pins for this project and they are working quite well. 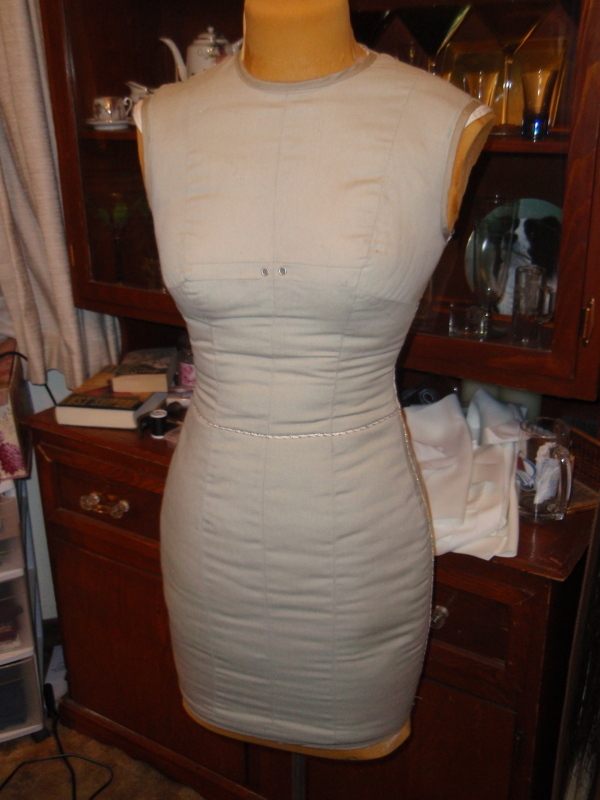 I can drape dresses on my form and pin them to it with no problem and no worries about the pins or the fabric/foam/batting coming out. I had considered using duct tape to hold my new form together but went this route instead and I’m glad I did as I can alter it easily in the future with no problems. 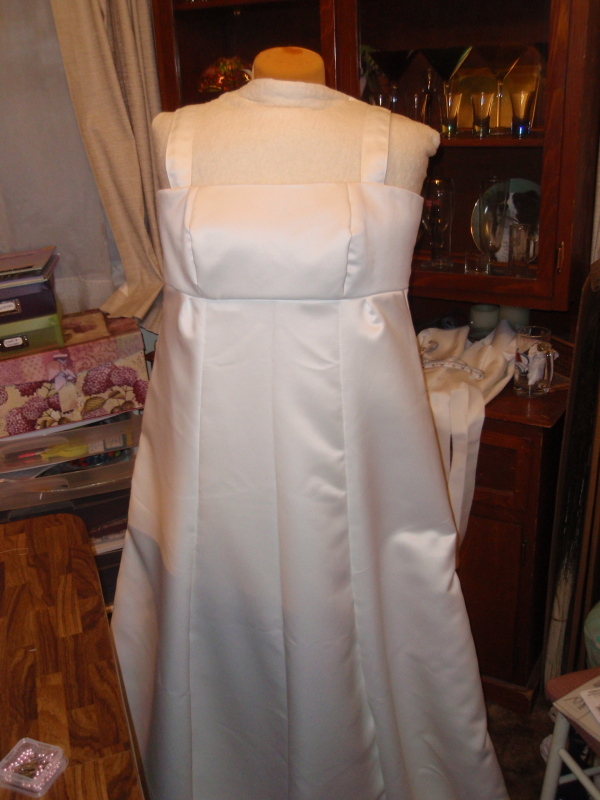 It sure is nice to have a dressform and it makes altering my wedding gown soooo much easier!